Developing audience-focused communications that deliver a range of aims at the same time will result in stronger impact and greater outcomes for your organisation. One voice, CharityComms’ Best Practice Guide to integrated communications, produced in partnership with GOOD Agency, is a practical guide to getting buy-in for integrated comms and how to roll out the practice across your organisation. When you integrate your communications, all your methods of marketing – advertising, direct marketing, public relations, digital engagement and so on – work in unison across all aspects of your organisation’s activities, rather than in isolation. Charities choose to go down the integration route for different reasons. Some might be driven initially by a need to increase fundraising income or uptake of their services. Perhaps there’s an immediate need to be clearer about what the charity does and why. It could be about creating a theme that unifies the different activities, products and communications that come from services, fundraising and campaigns. Whatever the initial motivation, integration will help you recruit and retain supporters, increase their lifetime value and improve their perceptions of you – if you get it right. And that’s where One voice comes in. We’ve talked to people from a range of organisations about how they’ve approached the task of integrating their communications, the obstacles they’ve come across and what they’ve learnt along the way. Your organisation will have greater impact. 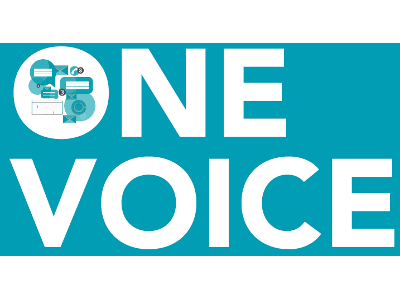 Download your free copy of One voice: a Best Practice Guide to integrated communications. We hope you find it a useful tool for helping get your organisation’s communications fit for the future.